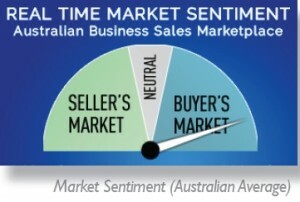 Not surprisingly negative speculation in the media prior to the Federal Budget being tabled in May and the inability of the Government to sell its budget message has caused a loss of confidence in the marketplace for SME sales during this Quarter. The bump in optimism following the 2013 Federal election has been replaced with the ‘Budget Blues’, however, sales of Small Businesses are still occurring in spite of the fact that sales prices paid for businesses seem to be dropping. “Whilst market conditions for business sales have deteriorated from those experienced before the Federal Budget was tabled, we believe the market will adjust over time to the new reality and provided overseas events stabilise it should be business as usual. If conditions deteriorate overseas then business sales pricing will fall as business confidence fades and vendors will need to ‘follow the market down’ if they want to sell” said Paul Nielsen, AIBB Vice President and Deputy Chair of COSBOA. ‘Unsolicited Offers’ have overtaken ‘Retirement’ as the primary reason for Sellers seeking a sale indicating that Buyers are becoming more aggressive in seeking discounts and Sellers are now ready to listen. Time will tell if this trend continues. Of greater concern is the second highest indicator of the reasons for sale being ‘Pending Insolvency’.